Brandon R. Peters, M.D., is a board-certified neurologist and sleep medicine specialist who currently practices at Virginia Mason Medical Center in Seattle and serves as a Clinical Affiliate in the Department of Psychiatry and Behavioral Sciences at Stanford University’s School of Medicine. He received his undergraduate degree from Seattle Pacific University in Biology and English and studied medieval and Renaissance literature at Oxford University in England. He worked as a polysomnographic technician before attending medical school at Oregon Health & Science University in Portland, Oregon. He was trained as a neurologist at the University of Minnesota in Minneapolis and completed his sleep fellowship at Stanford University, where he was also trained as a cognitive behavioral therapist for insomnia. 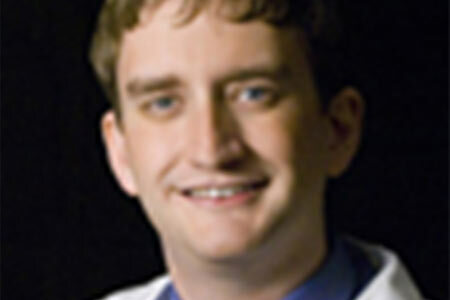 He has served on numerous committees within the American Academy of Sleep Medicine. He has written more than 1000 articles on sleep for Verywell.com. He has written numerous additional academic articles and book chapters on normal sleep, circadian rhythm disorders, parasomnias, and sleep ethics. He is the creator of Insomnia Solved, an online insomnia therapy program. All Sessions by Brandon R. Peters, M.D.